Here is a set containing some common action verbs which can be used in many different ways. For example, a student is given a card to mime the action and the rest of the class has to guess the verb. 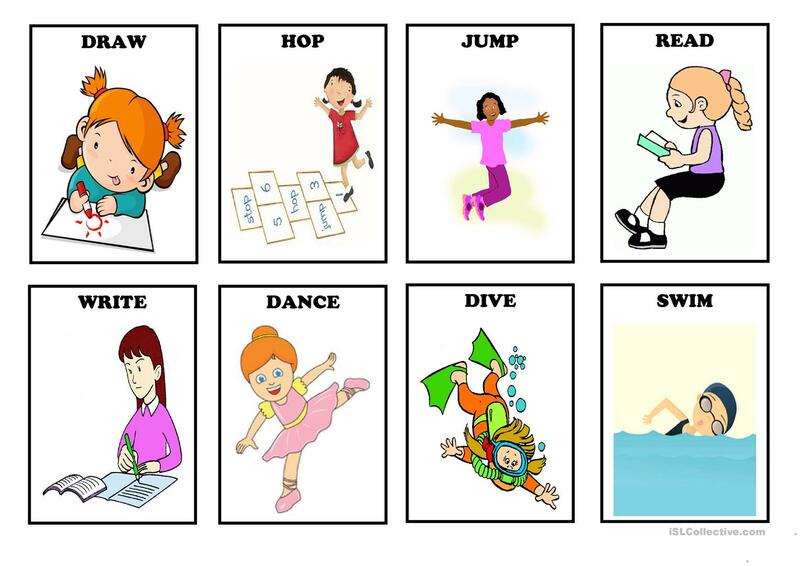 The above downloadable teaching material is intended for elementary school students and kindergartners and nursery school students at Beginner (pre-A1), Elementary (A1) and Pre-intermediate (A2) level. 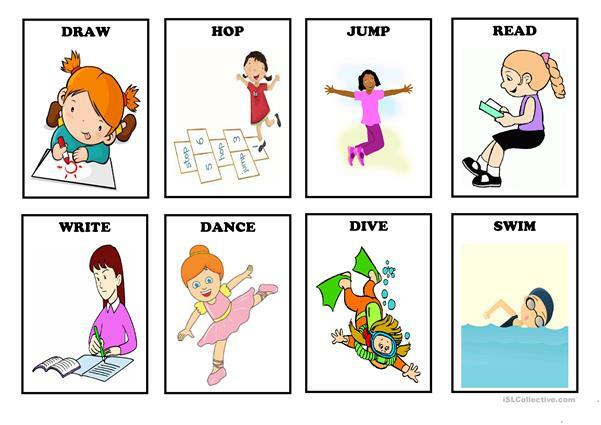 It is great for teaching Verbs: Action verbs in English, and is a valuable material for working on your groups' Listening, Spelling and Speaking skills.